Thunderstorms, hail, lightning strikes, and Soviet land amelioration strategies have not kept the KVAS from achieving some great results already this summer. 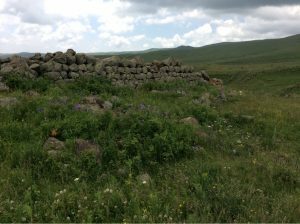 We are four weeks into the 2016 season and several new sites and finds–from both north and south of our base in Aparan–have come to light. 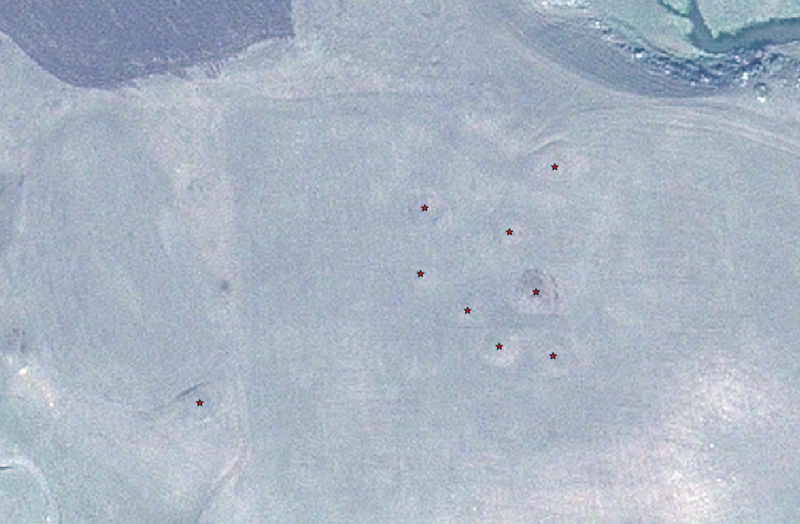 A kurgan cluster recorded this year by the KVAS survey team on the banks of the Kasakh River. In the upper valley we have recorded a number of intriguing Paleolithic sites, as well as a major kurgan cluster overlooking the Kasakh gorge itself, likely a Bronze Age cemetery. Looking southwards, an Early Bronze Age hilltop site in the vicinity of Vardenut Village connects this landscape to material acquired by the National Museum nearly 100 years ago without exact geographical attribution. Finally, we have also recorded, overlooking Aragats Village at the southern edge of the survey area, and a 4-hectare settlement much closer to Aparan, both of which likely date to the later Medieval era. A fortress provisionally named “Tsaghka Berd” and recorded this year by KVAS high on the slopes of Mt. Aragats. One extant wall over 2 m high is shown in this photo. Over the second half of the field season we plan to continue our work in the southern portion of the survey area, recording sites on the slopes of Mt. 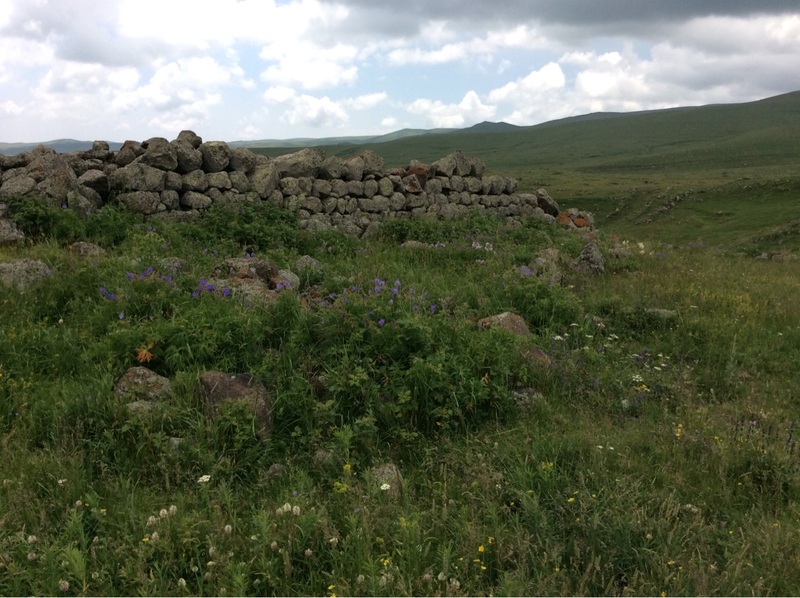 Aragats from Aparan south to the villages of Shenavan and Hartavan. We’ll post more here as the site inventory expands through early August.